(Newser) – We know hobbits existed. And we know humans may have killed them off. But new fossils discovered on the Indonesian island of Flores in 2014—and announced Wednesday via two papers in Nature—show they were older and smaller than previously believed. Gizmodo reports the remains of the first hobbits—scientifically known as Homo floresiensis—were found in the Liang Bua cave in 2003. USA Today describes the hobbits as no taller than an average US kindergartner. The new remains—amounting to a lower jaw and six teeth from three individuals, according to the Guardian—were the first found outside Liang Bua. 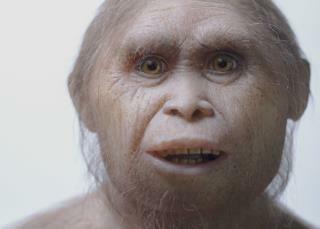 They were also 500,000 years older than the fossils at Liang Bua, dating back 700,000 years. If anyone cares to fund an expodition to try finding one of the little people, I have a crew of people that would ether come back with one , or put the story to rest as to if they actually still exist. Not surprising. Creatures who evolve isolated from major predators, and with abundant and easily obtainable food, teen to become "miniaturized." Size and strength become liabilities. No particularly reason why hominids should be any different. Father God sure is amazing at the things he can create.